What are the changes in Investment income taxation France 2018? As of January 2018 tax residents of France are no longer required to pay French Wealth Tax on savings and investments. Additionally, there is a new tax rate on investment income benefits. Below I have identified the main changes for those expatriates resident in France. No new changes to the French income tax rates. A 1% increase has been seen as a result of rates being indexed. French Income tax is due on rental income, pensions, salaries, self-employment income and investment income. Note household’s are taxed as a whole and not on an individual basis. As a result of the complexity, we would always recommend speaking to a qualified chartered tax adviser. Furthermore, social contributions are payable on investment income and capital gains of 15.5%. All investment income will be taxed at a flat rate of 30% Commencing January 2018 This applies to all savings and investment income including interest – gains, shares and dividends. The income tax rate of 12.8% and social charges of 17.2% make up overall tax. This new tax also applies to Assurance Vie’s (locally tax compliant offshore bonds) however with special concessions. Investment income from rental income or capital gains from the sale of a property is exempt. 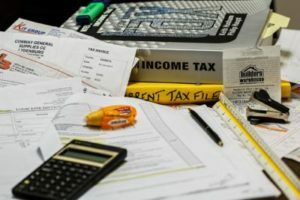 Investment income taxation France 2018 – What does this mean for my savings and investments? Offshore investment platforms and locally tax compliant bonds offer access to your monies at any time at no cost are just some of the options. By utilising specialist onshore and offshore solutions you can enjoy consistent, strong capital growth with full flexi access. Consequently allowing you to retain your original amount of capital invested whilst drawing an income or taking occasional lump sums. If you are interested in finding out more about Expat Investment solutions including a full free review of your existing setup, contact a professional independent Adviser at Harrison Brook today. Harrison Brook is the leading international online broker of expatriate financial services, products and expat financial advice. Get in touch now and take control of your financial future.